I notice I am getting two accounts that apparently have inactive 2FA. However, this is not the case : both my Apple account and DropBox account both have active 2FA. 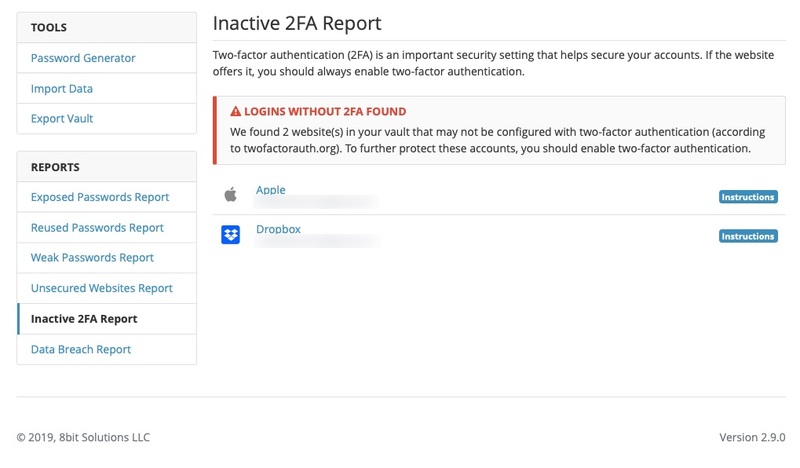 We can only know if you are using 2FA with this service or not if you have it configured through Bitwarden itself (TOTP feature). If not, it will show up in this report.